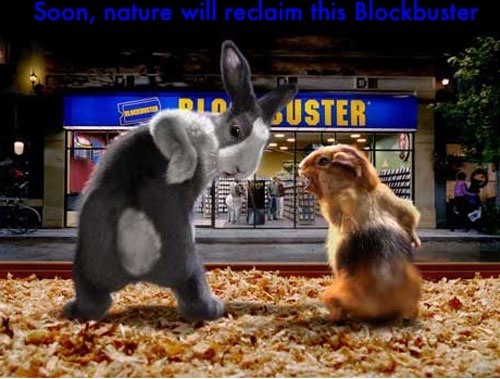 According to an AP report, Dish Networks, the soon-to-be new owner of Blockbuster, is keeping the leases on 500 of Blockbuster’s physical stores. The reasoning, while on the surface inscrutable, will give Dish a physical presence and allow it access to Blockbuster’s assets and brand to sell its own satellite TV service to consumers. Dish finalized the sale this month and signed the papers to maintain the stores last week. It bought the beleaguered video rental chain for $228 million, giving Dish access to Blockbuster’s limited assets as well as all branding.